Most of us aspire to have excellent health, particularly around this time of year. We set bold intentions to make this year the year that everything changes. Setting goals is an excellent way to better ourselves, but sometimes we need a little help to obtain those goals. If you’re sick, you go to the doctor, right? If you are having personal issues, you may seek guidance from a counselor or therapist. If you want to enhance your value within a certain field, you might go back to school. The common factor in these examples is the motivation to grow and/or heal. But what about improving your health? Heres why you should work with a health coach. Each body is different. As a result, each health plan is unique. Meeting with a health coach is an excellent way to curate a health plan that is designed specifically for you. To get to that point, you’ll learn more about your body and what you should be eating, what type of exercise would benefit you and custom ways to enrich your health. The plan starts with knowledge, which you’ll no doubt gain by working with a certified health coach. If you’ve been struggling to lose weight, get healthy or implement integral lifestyle shifts, meeting with a health coach bolsters your ability to change. Essentially, you’ve got someone right there with you cheering you on and challenging you to commit to the lifestyle changes that you most value, or will best serve your overall health and wellbeing. Meeting with a health coach can help reduce stress, lower the risk of chronic diseases, optimize sleep, and lose weight. These are immense health benefits that work together to raise your level of fulfillment and help you better enjoy life. For those suffering from chronic illness, a health coach can create a recovery path by exploring different modalities of healing. Depending on the conditions of the client, health coaches tailor a treatment plan to ease symptoms and treat the route of the illness. This can span many health facets including physical and emotional healing. They can also help you get ready for doctor appointments to get the most out of your short time with your physicians. Here’s the truth: Many of us have great intentions for our health, but between the daily demands of our busy schedules, our health, the most vital part of our existence, gets compromised. When you work one on one with a health coach, you don’t just set goals together, you create an actionable plan that helps you achieve your goals realistically. There’s also the element of accountability that helps sustain motivation that otherwise might dwindle without someone there to check in with you. Especially for those suffering from illness, it’s absolutely crucial to have a health advocate, particularly when it comes to exploring alternative healing modalities outside of conventional western medicine. What’s often written off as “fatigue” or “stress” is just a wastebasket diagnosis because the doctor can’t conclude what the actual diagnosis is. This can be extremely disheartening when you’re in pain or suffering. A health coach advocates for you and helps you embark on the trail to health. We all envision the best version of ourselves. We set resolutions and goals to someday step into the shoes of our healthiest self. Working with a health coach gives you the steps you need to take toward your healthiest self, so that you can live your best life! Journify is an amazing resource that connects you with your ideal nutritionist, certified dietitian, health coach, fitness coach or life coach. You can book sessions with different practitioners and they even offer free meal plans that you can download right off the site. I am an IIN Certified Health Coach and my passion is healing people from Lyme, Mold and Autoimmune Diseases. Feel free to get in touch, I’d love to work with you on your trail to health! You can also learn more about my coaching packages here. Book a Discovery Session and let’s figure out your goals together. 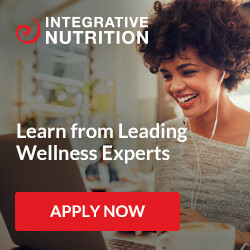 There are lots of programs out there nowadays to become a health coach, but I absolutely LOVED my education at Institute of Integrative Nutrition (IIN)! IIN is the only school that explores more than 100 dietary theories and covers so much more than just food and diet. It is a really well rounded curriculum that allows me to help so many people today.